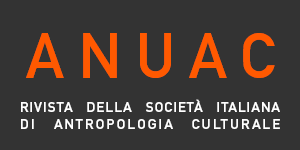 The establishment of the Malinowski Forum for Ethnography and Anthropology in South Tyrol provides a good opportunity in the journal of Italy’s relevant academic association for a reconsideration of the current significance of ethnography, as initiated by Malinowski, for various scholarly fields in anthropology and beyond. One of these fields is historical anthropology and history in the broad sense of the term. This article seeks to explore how the Malinowskian legacy in ethnographic fieldwork may be usefully and productively activated and elaborated for historical fields and for historical anthropology. For this purpose, the first section will outline how Malinowski’s notion of an empirical field was open to all kinds of comparative interdisciplinary inquiries. Eventually, these also came to include history, despite Malinowski’s original well-known caveat in his time (Firth 2002). The second section will then elaborate the case example of maritime pilots as well as other cultural brokers with cosmopolitan expertise in the Indian Ocean, in order to demonstrate how ethnographic insights may support, enrich and complement historical data or, if these are absent, how they may become historically relevant indicators in their own right. A summary section points out that this leads to pioneering new tasks for anthropology.